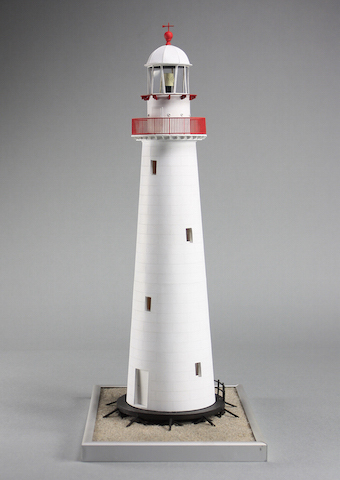 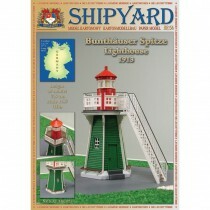 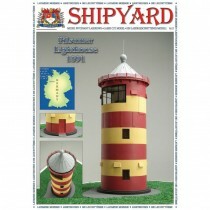 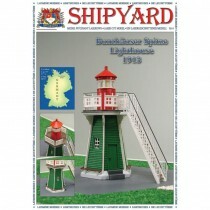 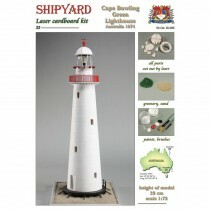 Shipyard card model lighthouse kits are available in two varieties that the manufacturer calls Laser Cut Model kits and Laser Cardboard kits (boxed sets). 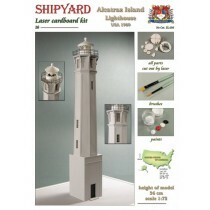 All Laser Cardboard boxed sets include paint, razor blade, brushes, and landscaping material, while the Laser Cut Model kits do not. 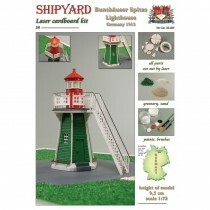 Laser Cut Model kits are generally available in two scales, either 1:72 or 1:87 (HO) scale. 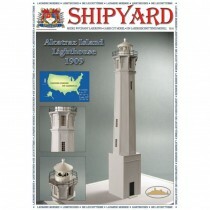 The 1:72 scale kits are larger, but the 1:87 scale kits have the advantage of the compatibility with a wide range of figures and scenery that can be obtained from the model railroad hobby stores.